Evans Electric Limited is engaged is engaged in the business of repairing, re-winding and re-designing including in-house manufacturing of replacement components. Let’s have a detailed review of the company and analytics of the Evans Electric IPO release date, IPO offer price, subscription, Evans Electric IPO allotment, grey market price and other details like the company’s background, its financial positions, its promoters and other related things. Evans Electric Limited is engaged in the business of repairing, re-winding and re-designing including in-house manufacturing of replacement components of small, medium and large electric motors, generators and transformers, which are used in Thermal, Hydro, Diesel, Gas & Nuclear Electric Power Generation, Petroleum Refineries, Chemicals & Fertilizers, Cement Plants, Steel Plants, Tyre Manufacturing, Sugar Mills, Oil & Gas Exploration, Shipping, Mining and Railway Traction. As per Restated Financial statements for the six (6) months period ended September 30, 2018 and fiscal 2018, 2017 and 2016, the total revenues were 380.16 lakhs, ₹586.91 lakhs, ₹1071.58 lakhs, and ₹511.65 lakhs, respectively. The net asset value per Equity Share was Rs. 77.72 and Rs. 70.72 as of Sept 30, 2018 and March 31, 2018, respectively, as per the Restated Financial Statements. The net worth of the Company was Rs. 777.18 lakhs and Rs. 707.23 lakhs as of Dec 30, 2018 and March 31, 2018, respectively, as per the Restated Financial Statements. Profit after Tax for the similar period mentioned above was ₹ 69.95 lakhs, ₹ 46.30 lakhs, ₹236.69 lakhs, and ₹ 41.48 lakhs, respectively. The opening and the closing date of Evans Electric IPO is not known yet. The price at which the Equity Shares are being issued by the Company through this Draft Prospectus, being Rs. 10/-. The Issue of 3,72,000 Equity Shares of Rs.10 each fully paid-up of the Company for cash at a price of Rs. [●] per Equity Share aggregating to Rs. [●] Lakhs. They provide contract based services for repairing of various electric products which includes low Voltage and High Voltage AC and DC Electric Motors, Generators and Transformers, Turbo Generator Stators, Turbo Rotors (including high speed balancing), Hydro Generator Stators, Hydro Rotors and Field poles, also included are Dynamic balancing, Vacuum Impregnation, High Voltage Coil Manufacturing, RLA studies, Vibration Reduction, Diagnostic Testing, Machining, Fabrication and allied services. Their factory unit ad measuring to 30,000 sq. ft. located in Palghar, Maharashtra which is used for providing re-winding and repairing services as well as for manufacturing replacement components. They also provide on-site services for large Electric Motors, Generators and Transformers that are too large and cannot be transported to the Factory. From the above statements, one could find that the Evans Electric Limited may perform well. Equity Shares Offered Issue of 3,72,000 Equity Shares of Rs.10 each fully paid-up of the Company for cash at a price of Rs. [●] per Equity Share aggregating to Rs. [●] Lakhs. Reserved for Market Makers [●] Equity Shares of Rs. 10 each fully paid-up of the Company for cash at a price of Rs. [●] per Equity Share aggregating to Rs. [●] Lakhs. They believe that there are no listed companies which are operating in all the business segments as of their Company. 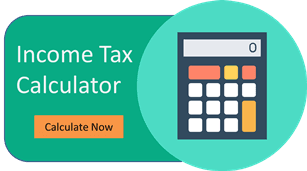 Statutory Auditor – M/s Anay Gogte & Co. Peer Review Auditor – M/s Anay Gogte & Co.
Bankers to the Company – Union Bank of India. The Evans Electric IPO Grey Market Premium price is Rs X, the Kostak rate is Rs X and the Subject to Sauda is X.